In keeping with the philosophy, the Construction Group teams with its clients to resolve disputes in a reasonable and efficient manner, often using mediation or other alternative forms of dispute resolution to provide expedited and economical results. When litigation becomes necessary, the Group’s attorneys utilize their extensive trial and appellate experience in federal and state courts throughout the country. Where appropriate, the Construction Group also draws on the Network’s wealth of expertise in other matters, including environmental regulation and exposure, admiralty law, transactional law, commercial litigation, bankruptcy, products liability, insurance, mass tort and class action litigation, and labor and employment law. 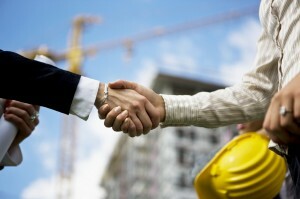 Prae Legal’s construction Group is distinguished by its expertise and proven record in the construction field. They are committed to providing its clients, big or small, with the best, most efficient and cost-effective representation possible. Our personal commitment to our clients is our pledge, and our experience and knowledge in Construction Law is our specialty. Moreover, when your organization’s legal needs move beyond construction issues, attorneys in the group are able to connect you to the advice, expertise and support you might need from Prae Legal.